As Sales Manager for the firm, Mr. Price is responsible for the recruiting, training, and market development for new Associates with the organization. Prior to joining our company, Matt worked both as a coach to financial advisors and as a District Manager for a national financial services organization. In addition to his management role, Matt works with personal clients in the financial planning, investment, and insurance areas. Matt has a Bachelor of Science (B.S.) in Business Administration, Finance, and Risk Management from The Ohio State University. He has received a Certified in Long-Term Care (CLTC) designation from the Corporation for Long-Term Care Certification. 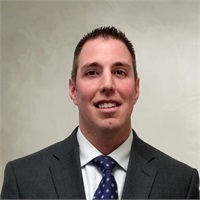 Matt is licensed to sell life and health insurance as well as annuities in the State of Ohio and is a Registered Representative (Series 7) and Investment Adviser Representative through Cetera Advisor Networks LLC, a registered broker/dealer, and a registered investment adviser. He is also an Investment Adviser Representative of Financial Management Strategies, Inc., a registered investment adviser. Matt and his wife, Erica, reside in Akron.